Western Massachusetts Year of Havoc continued with a pre-Halloween snow storm. 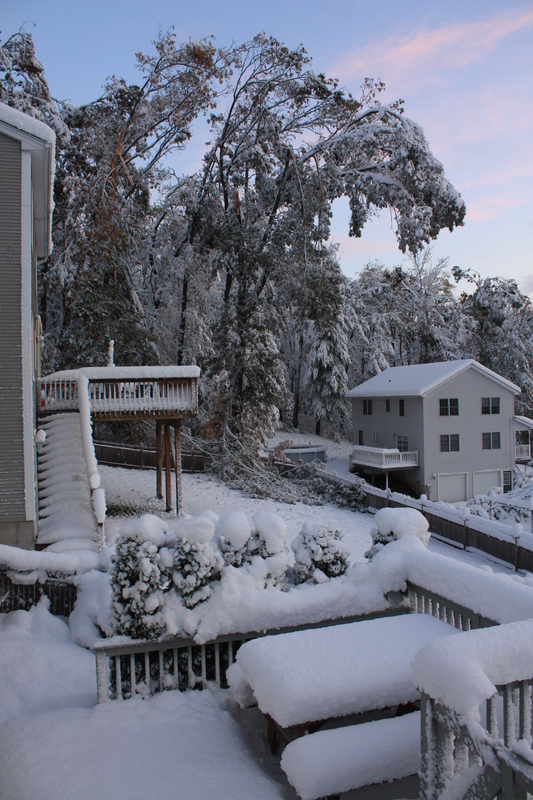 Heavy snow did major tree damage cutting electric, internet an cable TV service. We are certainly on a roll in 2011, a harsh winter, tornado, Hurricane/Tropical Storm Irene, earthquake and now this storm. I was without power for eight-days. We have returned to ‘normal’ again as everything is up and running. Things I learned; you can only play Scrabble and Parcheesi every night by hurricane lamp for so long before it gets really old fast and people, myself included, will stand in line for over an hour for a cup of coffee. Most importantly people will give utility companies the benefit of the doubt for only so long. If they don’t see action, the reservoir of goodwill quickly fills with venom. Also, there should be some sort of ordinance prohibiting people from running generators all night. It is bad enough I am in bed at 8:30, but does the entire neighborhood have to listen to one guy’s noisy generator all night? 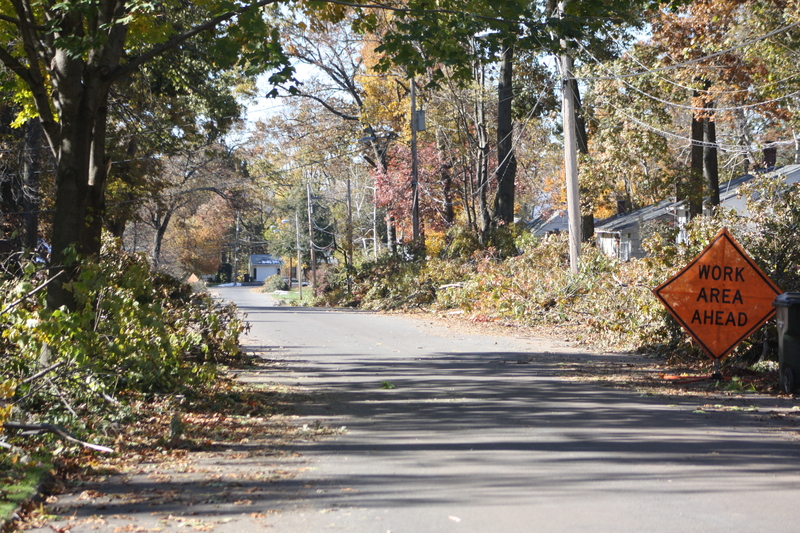 The clean-up continues as the fallen tree canopy is stacked high along the streets everywhere in the area. Here is to a mild winter! Posted on November 11, 2011, in Life and tagged electric, ma, springfield, weather. Bookmark the permalink. Leave a comment.